Bulk Voice SMS or Call is a simple communications technology that blasts a recorded voice message to hundreds or even thousands of call recipients in a very short period of time. Bulk voice calls are prerecorded voice messages (in a language understood by a common majority or popular in a local district) to a mobile or landline networks across the country. 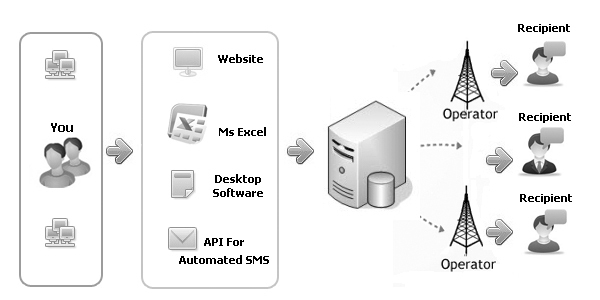 Bulk voice calls are automated calls which involves automated dialing to hundreds of numbers at once using computer managed lists, playing a pre-recorded message to automatically dialed mobile or landline numbers. Bulk voice call Platform allows you to send the Voice Ads/Pre recorded voice message in known language to any mobile or landline networks across the Country. Bulk Voice Calls is a powerful tool for publicity of the products/pass the message. The major advantage of bulk voice call is, it provides access to many targeted people in relatively short period of time. Voice calls are also most cost effective in comparison to the traditional mailers. Deliver or obtain responses from members, employees, customers and prospects.